Set around the historic Brayford Waterfront area of Lincoln with over 3,000 bikes of all shapes and sizes, this event has become one of the largest events in the Midlands. There is plenty to see and do with stalls, displays and a Show Bike Concours. A day of music and entertainment, close to the centre of Lincoln with music from local bands. The area has a wide range of cafes, restaurants and pubs. An ideal place to relax and soak up the atmosphere! venue: Brayford Waterfront, Lincoln, Lincolnshire, LN1 1XW. From 10am to 5pm. 19 catagories to enter, trophies for all winners and cash prize (£200) for best in show. Blues Brothers Disco all weekend plus Bands Thursday - The Gypsies and Hillbilly Jukebox. Free camping, stalls, food van, 24hr loos, ramped access for disabled. Bar and doors open from 12noon Friday. Affiliated to BMF, MAG and NABD. price: Pre-book: £9. OTG: £12. Day: £3. Cars £5, Blue badge exempt. Caravans/campervans £8. £1 to enter Motorbike into the show. UK's largest free automotive festival. Live action, Sprint circuit, static displays, beer, food, music. Cars and Bikes. The second Retro Style beach fun runs at Bridlington, with Classic Style Motorcycles and American/Hot Rod vehicles, performing drag runs over an 1/8 mile. Supporting stands with the inclusion of Steampunk to create a most unique event in the UK. A thrilling social event for the biker community. 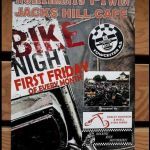 Highlights will include The Bike Village, daily ride-outs, bike displays, free Harley-Davidson demo rides, new to biking experience, slow control skills, the custom bike show and lots of free live entertainment day and night. The Bike Village will feature stands selling specialised biker wares including clothing, helmets, toys, trinkets, gadgets, and gizmos. The Village offers plenty of places to eat, grab a drink or simply sit and listen to the live bands and DJs perform over the course of the weekend. Stay at The Bike Village and receive a collectors Limited Edition Ireland Bike Fest T-Shirt and Pin. Steam locomotives, classic and custom bikes on display, entertainment, drink and food available. Best in show prizes plus gifts for all exhibitors. Gifts for all entrants and prizes for best in show. Classic, Custom, Harley, Scooter, Superbike. This years event will be a joint event with the popular 4x4 day combining 4 wheels and 2, alongside the heritage steam train services. There will be prizes for best in show with plenty of categories to keep classic, custom and Harley fans happy. Pay once travel all day. Free rally badge for all exhibitors and entries. Entrants enter the competition for free. price: Pre-book: £ adult. Children free (when pre-booked online). £ membership pass. £ 3 day ticket. £ Adult hospitality. £ Child hospitality. £ child membership pass. OTG: £. Live bands, cheap beer and local ale, Bike show, fun and silly games. Food served all day. Daventry town centre is set to host the 8th Daventry Motorcycle Festival and organisers want to hear from individuals, businesses, groups or organisations that want to be part of this exciting event. This free family friendly bike festival will see an array of old and new bikes on display along with some great music and children’s entertainment. The event is kicked off with a mass Ride-In - meets at 9am. Once again there will be Live Music, Free Fun Fair, Stunt Show, Street Entertainment and lots of bikes. 2019 will also see the return of the Show & Shine Competition with more great prizes! venue: Daventry Town Centre, in the Market Square and on High Street, Daventry, Northamptonshire, NN11 4HT. 10am - 4pm. Live bands, variety of stalls , custom show with trophies. Celebrating 18 years of the club. venue: Lincoln Moorlands sports & social club, Newark Road, Lincoln, Lincolnshire, LN6 8RT. 1.30pm onwards. price: £5. Pre-book camping £5 pp - telephone to book. Limited parking. Food & bar, dj, video screen, trophies and kids area. The Old Goats Grumble is now in its 5th year and sells out every year, due to limited ticket availability. A family rally, with an emphasis on great music, beer and home cooked food at brilliant prices. No outside caterers on site at the grumble. During the weekend 14 bands will perform live including Europes leading tribute band Magic Wueen, the queens of rock, joanovarc, top reggae band Mystic Crew, punk band Anti Pasti, ac/dc tribute DC d DC, stumble brothers, contra, jester, blues brothers, stagefright, manpant and a few more to be announced. The awesome drag act Trixie is also returning to stage throughout Friday night. A full viking battle re-enactment is booked for Saturday with shows, displays and market stalls to provide something for all the family. Over 20 cask ales, cask fruity ciders, keg lagers and a cocktail/shot bar at excellent prices up and running all weekend. A fantastic menu of home cooked food throughout the day by the lovely Loz ladies. All proceeds are given to the Teenage Cancer Trust Charity, with quality merchandise on sale prior and at the event. price: Pre-book: £20. 10 - 16 yrs: £10. Under 10’s free. Caravan/motorhome £5. Tickets available through website and facebook or by visiting the clubhouse at the Eagle Tavern, Heage, Derbyshire. Saddle up and get ready for a new-look Prescott Bike Festival 2019, it is a summer weekend that promises to be even hotter than ever! Celebrate the best in custom builds, shed builds, race bikes, factory bikes, one off bikes. Featuring the ever popular Run the Hill where more than 200 members of the public are set to run the historic hillclimb course on a range of magnificent machines. Also Paddock Specials, Special Guest Appearances (including Steve Parrish), Passenger Experiences, Show ‘n’ Tell, Great Food and Live hot rockin’ Entertainment, plus a large Exhibitor Zone featuring over 100 trade exhibitors with lots to see and buy, and a Kids Zone with plenty to keep them entertained for hours. This annual popular event, with a diverse range of machinery is set in one of the most stunning, historic and relaxed motor sport venues in the country. All proceeds go to the Blood Bike charities. venue: Prescott Speed Hill Climb, Gotherington, Cheltenham, Gloucestershire, GL52 9RD. Gates open 08:30; track action starts 09:30, closes at 17:00.
price: Pre-book £12/£15. Under 16's accompanied by an adult go free. Run the Hill entries from £39. Free parking. Show and shine Trophies, Motorbike Football, Stunt Teams, Outdoor Cinema free of charge, Helicopter Rides, Hovercraft Rides, Racing Simulator, Movie Cars Display, Bands and Dj, Kids area. price: Pre-book: Dads free when you book online. Pre-book: Adult £7.99. Child 10-15 £4.99. Under 10's free. OTG: Adult £15. Child 10-15 £8.50. Under 10's free. All show vehicles are free including passengers. ? 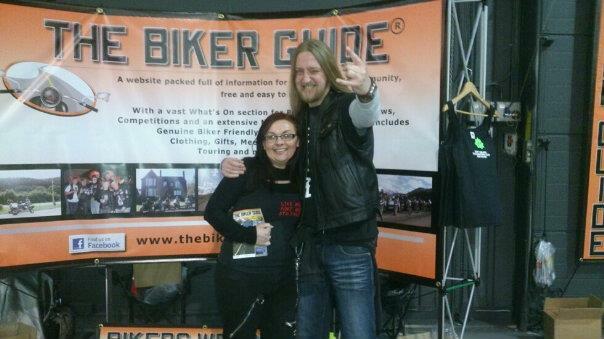 30th Scottish Classic Motorcycle Show, indoor and outdoor at Ayr Racecourse. With over 130 classic, vintage and competition two wheelers. Plus, parades throughout the day of classic racers and road machines. price: £7. Includes parking and Show Catalogue. ? Trophies, Stalls, Food, Music by Too Far Gone. A kiddies section, so bring the little ones with their pedal/electric/pushalong vehicle for a chance of winning a prize. Seeing as it's on Father's Day, bring the Dad's down for a day out. All money raised will be donated to Great Harwood Veteran's Cafe. price: Free admission. £2 to enter your bike/tike/scooter into the show. Privately owned and club vehicles will be on display in the grounds of Castle Howard, full concours will be overseen by an experienced commentator. Also plenty of trade and autojumble stalls, children’s entertainment and quality food and drink options. venue: Castle Howard, York, YO60 7DA. Opening times: 10am - 4pm. price: Adult: £11.95. Senior: £11. Child (7-16 years): £7.95. Calling all biking enthusiasts! On the third Sunday of each month a breakfast ride-in open to all marques. 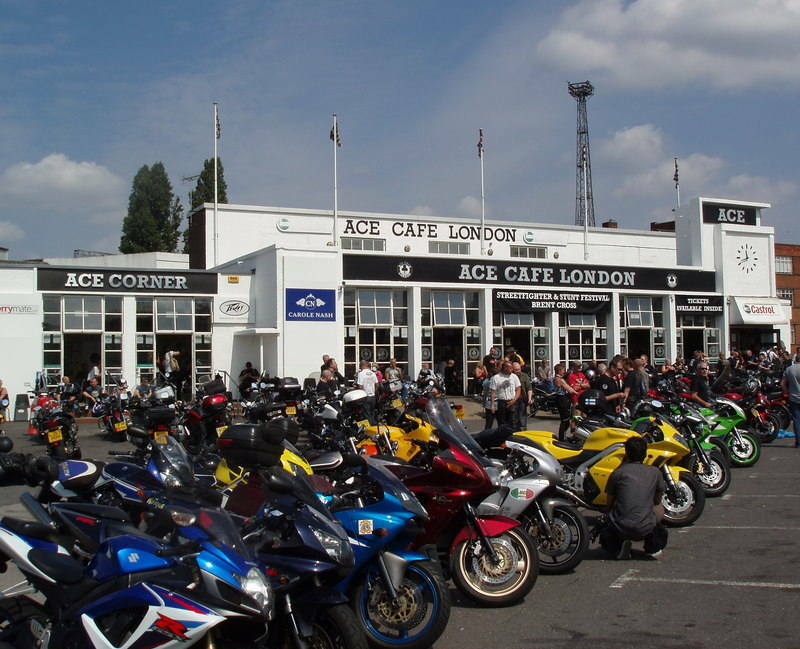 As well as meeting other bikers, participants can chat over a coffee and a hearty breakfast (from a full English to a bacon roll) in Cafe 750. The very popular Museum cafe will be open from 9am. price: The event is free. Entrance into the museum; Adult £14.50, Child £9.00, Concession £13.50, Family A (1 adult and 1 child) £21.50 and Family B (2 adults and 3 children) £48.50. 83 mile ride throughout the Snowdonia National Park in aid of the Gwynedd Guide Dogs. Scorton Steam is the biggest steam fair in the North West with over 600 exhibits of vehicles of all ages, shapes and sizes. Lawnmower racing, trampolines, crafts, food hall, fairground rides and soft play area. Also Saturday night live music performance. NEW for 2019 – Mini Tractor Pulling... Prepare for a wild ride as mini tractor pulling debuts at Scorton Steam. If it is engine-busting, ear-rattling race action you want, prepare to be blown away! price: Pre-book: £9. OTG: £10. Children (10-16) and concessions £6/£7. Under 10's free. Motorbike enthusiasts from far and wide travel north to participate in Britain’s most northerly rally. By invitation. Thurs Eve Disco, Fri 2 Bands, Sat 3 Bands. 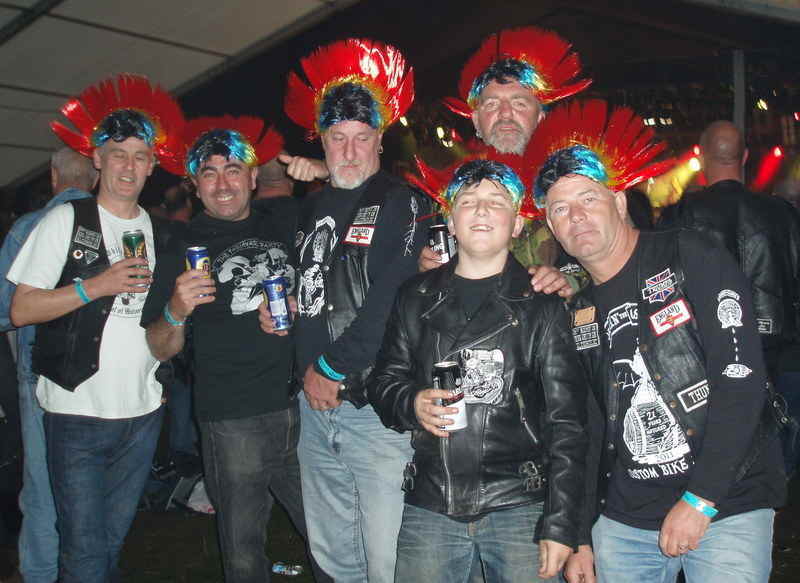 Late cheap bar, excellent catering, Bike Show + awards, stalls, tattooist, Ca'rekin, raffle. Rally by Sarum Bikers. There will be live bands, stalls, hot food, beer, rally games, archery and a raffle. price: Pre-book: £10. OTG: £15. Day ticket; £5. 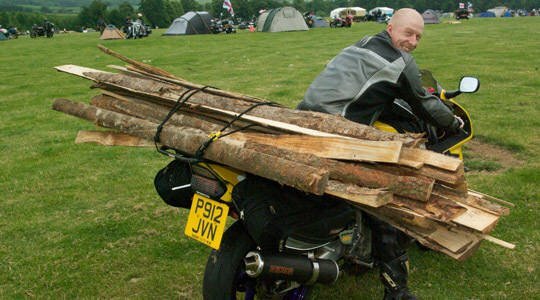 The Motorcycle Action Group Yorkshire proudly present the biggest bike only rally in Europe. The rally is set in the glorious biking Mecca of Helmsley, North Yorkshire and is packed with entertainment day and night. Over 20 bands, Comedy shows, bike show. Great food and beer at affordable prices. Three stages, 4 bars, and loads of food vans. More marquee cover than you can throw a stick at. A huge food marquee so you can sit and eat, chat or just have a beer. A rally put on by volunteer Bikers, for Bikers, in aid of Biking. price: Pre-book: £37. OTG: £50. Ticket price covers all camping and entertainment. A Bike and trike only rally with a No Cars, No Vans, No Pedestrians and No Excuses Policy. Disabled bikers in cars please see website for details on how to book a blue badge car on. price: Entrance £2, free for under 16's. Now in its 70th year, it is the largest gathering (500+) of pre-1931 motorcycles and 3-wheelers in the world and visitors will be able to see the motorcycles start and finish at the Museum. The Museum will be open from 9am – 5pm with the Banbury Run beginning at 10am. Riders will start at five per minute. Ride to Work Week, where motorbike and scooter riders around the world show just how enjoyable their daily commute is. By riding to work we demonstrate that life would be better if more people rode motorcycles and scooters every day, with time savings, less congestion and reduced travel costs. Ride to work and commute happy! Custom bike show, bands, local ales and ciders, tug 'o war, food and trade stalls, free camping and café on site. Really chilled atmosphere. price: Pre-book: £10. OTG: £15. £5 after 6pm, 22nd June. Car parking £2.50. A free entertaining two day event with something for all the family, whether you arrive on 2 wheels or 4, at the spectacular Fleet Air Arm Museum. Exhibitors include main motorcycle, car and cycle dealerships, training organisations, associated Trade Stands, DVSA, Highways England, Emergency services, plus various demonstrations. Test your skills on the motorcycle slow riding area, a prize for each day’s best time. Learn more about the safety features available from participating main car dealers. Take an assessed ride or drive accompanied by an advanced rider or driver; try one of the demonstration bikes or cars from the dealers. Incentives available on advanced courses plus the chance to win a free bike or car course. Children’s play area plus food & drinks at the Swordfish Restaurant. price: free event. Discounted entry to the museum on the day for all attendees. Hundreds of traders are housed in the venue’s halls offering a range of four-wheel related bargains including parts, spares, tools, accessories and memorabilia, along with a range of superb displays from the country’s top car clubs. Special exhibits, a classic car park and interactive experiences. venue: Skipton Auction Mart, Margrave Road, Skipton BD23 1UD. 9am – 1pm. Trade and autojumble stalls, children’s entertainment and quality food and drink options. price: Adult: £8. Child (7-14 years): £3. Under 7's free. Ride in and show, band, beer, food stalls, best bike competitions. Raising funds in aid of The Air Ambulance Service. price: £6, includes badge. Cars, pedestrians - donation sought. 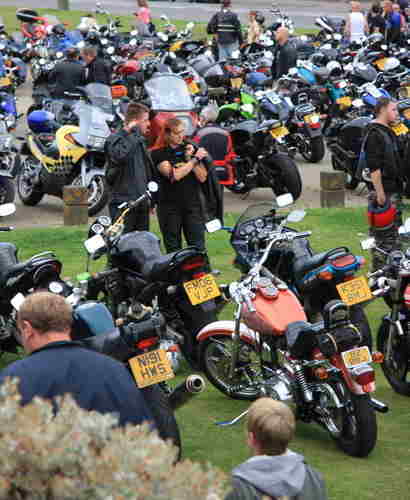 Large motorcycle-only Show for pre-1990 machines with Club stands and parades of show bikes. In response to popular demand, pre-1990 motorcycles are eligible to enter the show. Large indoor and outdoor Bikejumble with new and used spares, bikes, clothing & accessories for sale. Free BikeMart display-to-sell area for private vendors. Beer tent selling Real Ale and live music. Refreshments available, previous events featured local hog roast, toasty sandwiches and real coffee in addition to chips & burgers. Well-behaved dogs on leads welcome. price: OTG: £4 adults, £3 65+ over, kids under 16 free. See website to download a free entry form. The 8th annual Wildfire Festival, Scotland's only rock and metal festival. 3 days of rock metal and blues. Camping facilities and families most welcome. Rock and Metal festival that champions new and emerging rock talent. venue: Wildfire Festival moves to its new home in Wanlockhead Inn, Dumfries and Galloway, Gardendyke, Wanlockhead, Scotland, ML12 6UZ - Home of the 1531 MCC. price: Pre-book: weekend pass £65. 1,000 kms point to point mystery rally over 3 days in Ireland. Camping and accommodation (rooms must be booked in advance). See website for details. venue: Feericks Half Way Hotel, Rathowen, Co. Westmeath, Republic of Ireland on N4 between Mullingar & Longford. price: €40 Rider, €30 Pillion, Camping €10 total for 2 nights. Awards & Rally Badge included. ? A charity show for all 2 and 3 wheeled vehicles, from 50cc mopeds to trikes powered by car engines. The event is where classic and modern motorcycles are shown by their owners, hoping to be awarded the best in class or best in show. There were over 100 motorcycles on show last year, covering 100 years of manufacture. Refreshments and stalls. Organised by The Girder Fork and Classic Motorcycle Club. venue: Skipton Auction Mart, Gargrave Road, Skipton, North Yorkshire, BD23 1UD (off A629/A59/A65 roundabout see signs). From 12 noon. price: £3 adult. Under 16's free. 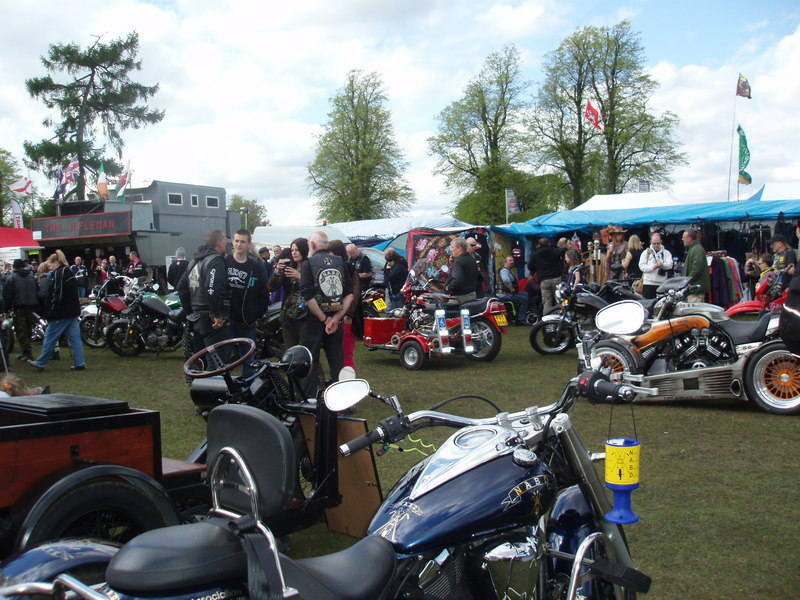 This annual event includes showcasing of different models and classics spanning a century and has been a fixture for the village of Cassington and members of the British Motorcycle Riders Club (Oxford) for more than 25 years. venue: Cassington, between Oxford and Witney, Oxfordshire. Use OX29 4DN for SatNav. price: This is a free event organised by the village of Cassington. Donations for parking are requested and all money goes towards the community organisations within the village. Once again some superb bands booked for the weekend. Friday night starts with The Duckworths, a brilliant band playing a lively mix of punk and ska tunes from the 70's and 80's. Followed by V8, one of the UK’s top hard rock cover /rally bands. Always guaranteed to blow the roof off! Saturday afternoon has Spiral Dive kicking things off for us. They have been described as “Louder than your nan’s TV” so should certainly get things going!" Saturday night a fabulous cover band, Overdrive to get the evening rocking. And to finish the weekend off with a massive bang Motorpace, an amazing Motorhead tribute band. Also, DJ’s playing a mix of rock and blues from the last five decades. Bike show with trophies. Tug of war competition. Silly games with free alcohol involved, Real toilets and showers. Quality food available all weekend. In aid of British Bikers Relief Foundation. venue: Southam Rugby Club, B4451 Kineton Road, Southam, Warwickshire, CV47 2DH. Gates open 12 on Friday. 24 hour secure site. price: Pre-book: £15. OTG: £20. Free for children 12 and under if accompanied by an adult. Car parking £5 per vehicle. Blue badge holders free. (Limited space available) No caravans. Bikes and Trikes only. 4 Bands, great beer, great food, silly games, stalls, trophies, showers. Roman Theme. price: Pre-book: £18. OTG: £20. Day ticket: £10. Strictly no cars. 6 Disabled Van pitches (pre book only). First 100 free patch and goodie bag. 16+ no children, no dogs, no fires. Traditional rally with disco, band, Saturday run-out, awards and hog roast included in ticket price. All makes welcome. price: £20 includes rally badge. Free tea and coffee, food available in addition to Saturday hog roast which is included in ticket. Live bands, DJ, great food, plenty of booze, stalls, raffle, custom bike show, ride out, silly games, tattooist. Back patched clubs by invitation only. price: Day entry by donation, weekend camping £5. All styles of bikes welcome. Cafe & bar open from 6pm. Food served to 8.30pm and a bar with alcohol and soft drinks until 11pm. This is the second armed forces event. Stalls, food, live music, bouncy castles, airsoft shooting range, army museum and much more. Country festival with all sorts of classic and vintage vehicle bikes, trikes, cars, military vehicles, etc... Bar refreshments stalls. Free entry for any classic vintage or show bike. price: Free for any classic, vintage or show bike. £3 if not. Children free. ? Ride along the Cat and Fiddle to the Swains centre. Biker Down, UpRight Derbyshire, Blood Bikes, IAm, RoSPA, Pidcocks, Moto- Guru and others will be there. Big prize raffle in aid of Armed Forces Bikers, cakes and on site café. Please note, that only events with dates and 2019 are confirmed.